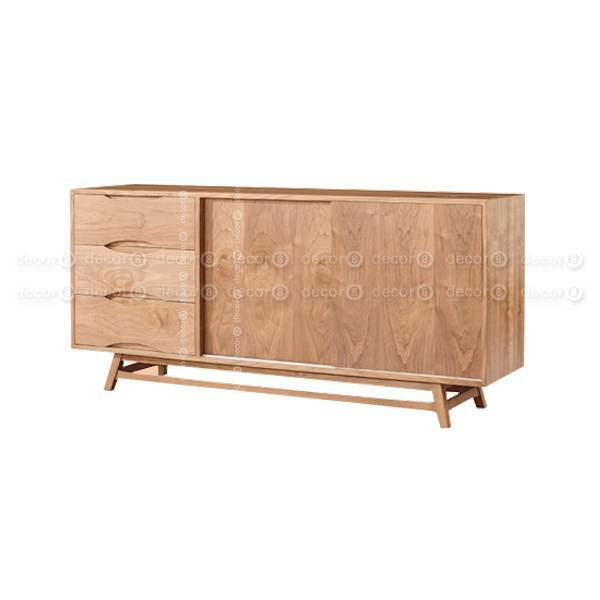 The Decor8 Roman Sideboard Buffet and Console Cabinet is a marvellously crafted storage unit with a simplistic design and face, enabling it to look clean and smooth. This console cabinet is made with fine pristine solid oak wood imported from Northern America, which makes it a long lasting piece of furniture. The light wood colour can easily be adapted in any room and brings a sense of calmness within it, whilst the dark wood adds richness and elegance into a room. This console cabinet is raised above the ground on four equally measured legs with precision. With 3 drawers and two sliding doors. It is split into 3 columns, the drawers are based on the left with 2 large sliding cabinet doors on the right concealing a hidden shelving storage system. The drawers in the left are perfect for storage loose small items that you don’t want to go missing. There is also a smooth top surface on the cabinet where you can layout serving dishes for your dining event. 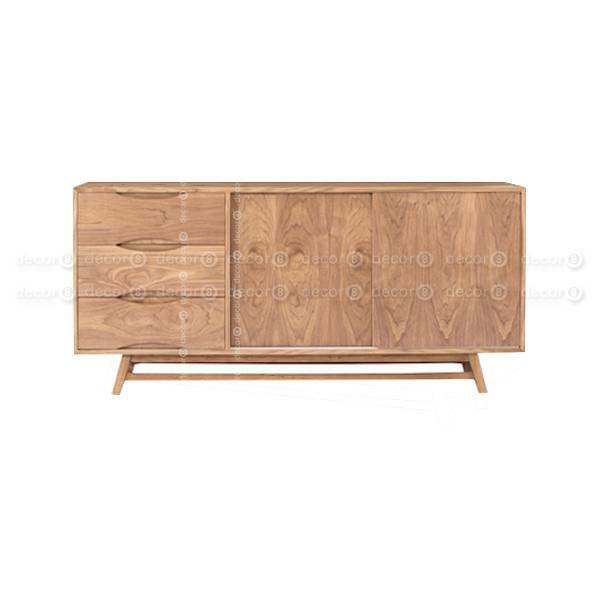 The Decor8 Roman Sideboard Buffet and Console Cabinet is perfect for placing against a wall. We would highly recommend this to be placed in the dining room or living room. Placement isn’t limited to the home as it works well in the restaurant environment giving the space a more natural look. A natural look can give your interior a warm inviting feel that can be comforting. The light wood would brighten up a dark room but would be best matched with a light ambience as this will bring out essence in the room. You could even mix it up by placing this unit in a room with a mix tone of wood finishes. This will give you a gradually tone that transitions from light to dark or vice versa. Pairing items with a mixed finishes like this also works wonders for your interior. Similar item include the Jefferson TV Cabinet if you want a TV Cabinet to compliment this piece.